Locals Call It: The Shoals. For Kitchener-Waterloo, locals would call it KW. If Cambridge is included, then locals will say "the tri-city area". I'm guessing outsiders would probably say Waterloo Region. Cambridge was formed in 1973 by amalgamating Galt, Preston, Hespeler, and Blair. Locals still refer to the old town names, while outsiders only refer to "Cambridge". 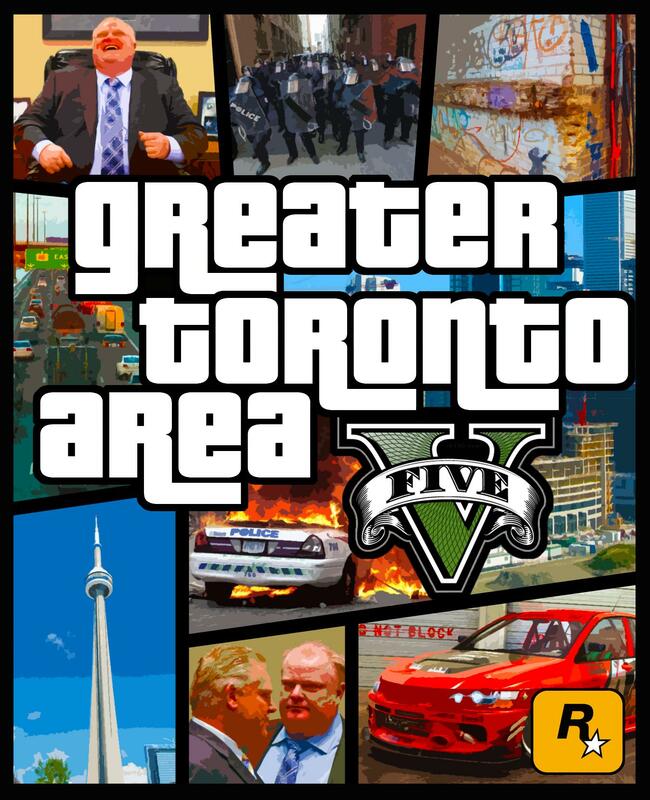 For the Toronto metro area, locals call it the GTA (Greater Toronto Area). I'm guessing outsiders would just call the whole area "Toronto". Mid-Michigan pretty much is what locals call it. An outsider would probably call it Central Michigan most likely. Locals call Saginaw, Midland and Bay City the Tri-Cities. The Detroit area is a mix of Metro Detroit and Southeastern Michigan. Most San Jose locals seem to be too self-effacing to call themselves anything; the most common term -- heard most often on news broadcasts, San Jose based or not, is "the South Bay", which takes in pretty much everything from Sunnyvale southeast to the farthest south outreaches of San Jose (and some even include Morgan Hill and Gilroy). Outsiders tend to refer to it as either San Jose itself or, occasionally, the now-ancient monicker "Silicon Valley" (go down to L.A. and listen to a news broadcast -- and if the area is mentioned, the SV term often is applied). Use the term colloquially up here in conversation, and the response will either be rolling eyes or a grimace! You'll occasionally hear the "Connecticut River Valley" used to refer to the Lebanon, NH/White River Junction, VT area as well. The preferred term locally is "Upper Valley." Harford County, Maryland is part of the Baltimore Metro Area, or Northeast Maryland. I live in the Merrimack Valley, and I would live in the North Shore if I was closer to the ocean. Outsiders would probably call this whole area Northeastern Massachusetts, which is a larger area. I don't think anyone refers to Springfield as "southeastern MA." Southside VA here or on a lesser scale, the Dan River region. When I was growing up in eastern NC, it was usually referred to as "eastern Carolina", sans "North". Keeping in mind that "the Upper Valley" extends pretty much the entire length of the VT/NH border. - The "Northeast Kingdom" of Vermont, where I live, is both a common name for the region and is actually codified in state law as encompassing Caledonia, Essex, and Orleans Counties. - The "Champlain Valley" in Vermont refers to the area between Lake Champlain and the spine of the Green Mountains, including Burlington. I do not know if the term is also used on the New York side of the lake, or how far it would extend there. - Several local terms for the Hampton Roads, VA area. "Tidewater" is an occasionally heard term. Going into more detail, there's "the Peninsula" (Hampton, Newport News, and other locales north of the James River), and "Southside", which is everything south of the James River (i.e. Norfolk, Virginia Beach, Chesapeake, Portsmouth, Suffolk). - In Minnesota, both "the 'Cities" and "the Metro" refer to the Twin Cities metropolitan area. Everything else in Minnesota is "Outstate". - Also in Minnesota, there's "the Arrowhead Region" generally covering St. Louis, Lake, and Cook Counties (effectively everything east of US 53). "Bluff Country" refers to the bluffs in southeastern Minnesota, generally east and southeast of Rochester. "The Iron Range" is a stretch of northeastern Minnesota best known for iron ore and taconite mining, generally running from Crosby to Grand Rapids to Ely and southeast to Lake Superior, but with a modern-day focus on the Hibbing/Virginia/Eveleth area. - Lastly, in local/advertising/food industry folklore, the "Valley of the Jolly Green Giant" primarily refers to the Minnesota River Valley in the vicinity of Le Sueur, MN. *New York City is part of the Tri-State area, when you factor in NJ and CT.
*Washington, DC is part of the DMV, for DC-MD-VA.
*Pittsburgh and Philadelphia are part of Western PA and Eastern PA, respectively, with South added to better reflect their actual locations in the state. *San Francisco, Oakland and San Jose are all part of the Bay Area. *Seattle is part of the Sea-Tac area, which of course also includes Tacoma. As a recent former resident, I'll mention that this one is not used often. A lot of people scorn its use for the region in no small part because of the "lackluster" reputation that the Virginia Department of Motor Vehicles (DMV) has. West Virginia has no truly well defined regions. In my area, the areas more focused on the Huntington-Ashland-Ironton region is "the Tri-State", while the area more focused on Charleston is "the Kanawha Valley", with the understanding that that means only the immediate Charleston area and not the geographical entire valley. There is not really universal name for two combined. They have tried to use "the Advantage Valley" but that is just some marketing deal, nobody really says that. Northern West Virginians say "southern WV" to include Huntington and Charleston, but people here would not consider this southern WV, but rather that is the coal producing area further south. TV weathermen will generally divide the market into "the Tri-State", "the Kanawha Valley", "the Kentucky Coalfields", "the WV Coalfields" and "southern Ohio". As to the rest of the state, people around Parkersburg say "Mid-Ohio Valley" for both sides of the river, which is only true if you are only talking about WV. Nobody non-local would say that. The norhern panhandle is the most universal term in the state, of course. Southern WV is usually divided as "the coalfield" meaning the SW, and "the Greenbrier valley" (which is bigger than the geographic Greenbrier valley") meaning the SE. People in Bluefield say "the two Virginias" for their area. The eastern panhandle generally divides into "the Potomac Highlands" and the 3 prosperous DC centered counties, which can sometimes be "the eastern panhandle" by theirselves, excluding the Potomac Highlands. North Central WV is usually just that "north central WV" of "Fairmont-Clarksburg-Morgantown" (always in that order which is not correct geographically or populationally). "Delaware Valley", "Greater Philadelphia", "The Tristate", "Exit 4". Take your pick. "South Jersey" usually by northerners. The further south you live the further south the dividing line(s) tend to be. If you're from Philly, it's easily just "New Jersey" because they don't care about any parts of NJ that aren't part of their region unless it's "down the shore" (which is where I work). Central Virginia, southside Richmond, greater Richmond, or Tri-Cities. Locals also refer to your area more specifically as The Quiet Corner. Locals also use the Farmington Valley, Greater Hartford, or Midstate region for my area. I call the area Hartford suburbs. Also locals mostly call this area Willimantic area. - Also in Minnesota, there's "the Arrowhead Region" generally covering St. Louis, Lake, and Cook Counties (effectively everything east of US 53). "The Iron Range" is a stretch of northeastern Minnesota best known for iron ore and taconite mining, generally running from Crosby to Grand Rapids to Ely and southeast to Lake Superior, but with a modern-day focus on the Hibbing/Virginia/Eveleth area. Locals often refer to this area collectively as "the Northland" (generally throwing in some counties west of the Range), which in some definitions also includes the adjoining part of northern Wisconsin.